Welcome to Strawberry Roan Assisted Living Facility. Offering quality nursing care in a rural setting. Strawberry Roan Stable Living offers care for a small group of residents needing extra help with cooking, cleaning, housekeeping, maintenance, bathing, or just extra hands-on care of activities of daily living. We offer 24 hour nursing care for residents in a rural area offering care for a wide range of health diagnoses within the authorized criteria of the facility. There is no need to move your loved ones to the big city to receive skilled care. 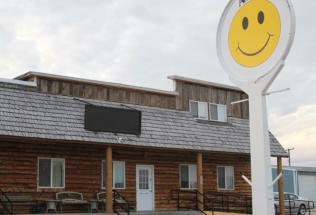 This level of care is available right here in rural Wheatland County. 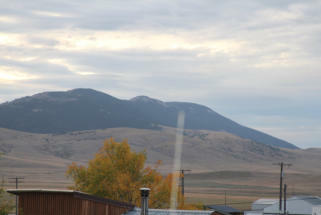 Located between Lewistown and Harlowton, and nestled between the Big Snowy Mountains and Little Belt Mountains. We cater to country folks who are accustomed to quiet, rural life, or to those who desire an escape from hectic city life. Strawberry Roan offers the quaint, cozy accomodations that help your loved ones feel right at home. All while keeping them close to family and friends right here in central Montana. Our staff is highly qualified and experienced. We currently have an RN with 24 years of nursing experience, an LPN with 28 years of working with the elderly, CNA’s and kitchen staff that have combined experience with the elderly that spans decades.